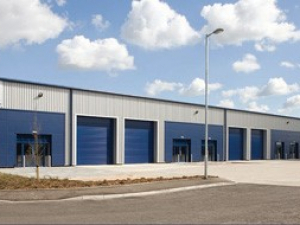 A total of 60,082sq ft of a new industrial / warehouse accommodation is provided. The units are split between a terrace of 36,058sqft and 24,024sq ft. Both terraces can be subdivided to provide a wide range of unit sizes from 3,003sq ft. The units have an internal height of 6m with a vehicle door to the front and glazed section to accommodate an office fitout.